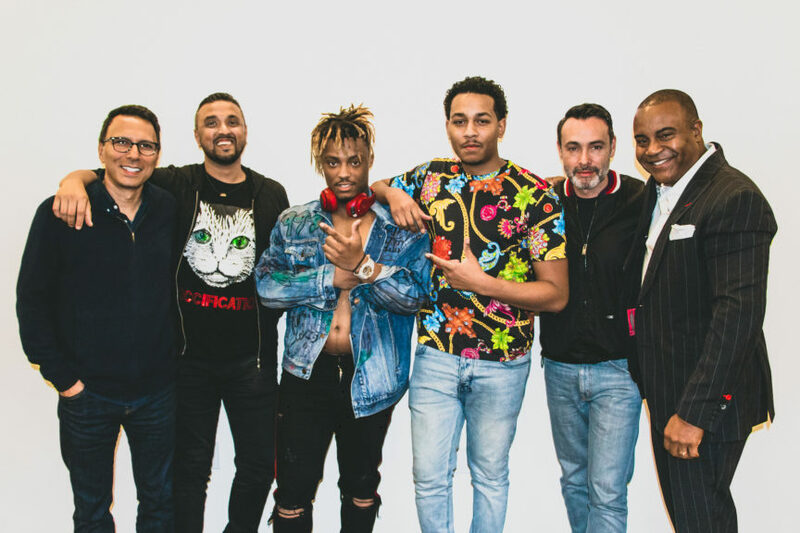 Chicago hip-hop act Juice WRLD has signed a new global publishing administration agreement with BMG. The deal encompasses his entire songwriting catalog, including his groundbreaking debut Goodbye & Good Riddance, recently released collaborative effort Future & Juice WRLD Present…WRLD ON DRUGS, and newest single ‘Armed And Dangerous’, along with his future works. Released earlier this spring, Goodbye & Good Riddance reached Top 5 on the Billboard 200. The set is led by the hit single ‘Lucid Dreams’, which hit number two on the Billboard Hot 100, and has topped both the US Hot R&B/Hip-Hop Songs and Rhythmic Songs charts. A global chart smash, ‘Lucid Dreams’ is certified 5x Platinum in the US, 3x Platinum in Canada, 2x Platinum in Australia, Platinum in both New Zealand and Sweden, and Gold in both Denmark and UK. Featuring standout tracks ‘All Girls Are The Same’, ‘Lean Wit Me’, and ‘Wasted’, Goodbye & Good Riddance has accumulated over 2bn streams and nearly 1bn in audience airplay – in just six months. Juice WRLD’s new collaborative mixtape with rapper Future, Future & Juice WRLD Present….WRLD ON DRUGS, released October 19, debuted at number two on the Billboard 200. That set is highlighted by the songs ‘Fine China’ and ‘Hard Work Pays Off’, alongside tracks featuring turns by Lil Wayne, Nicki Minaj, Young Scooter, and Young Thug. On November 9, Juice WRLD released his new surprise single ‘Armed And Dangerous’. The artist is signed to Interscope Geffen A&M for records.